The 15-year gilt yields have increased sharply as the European Central Bank signals the end of the €1.1 trillion programme started in January 2015 as European growth prospects improve. 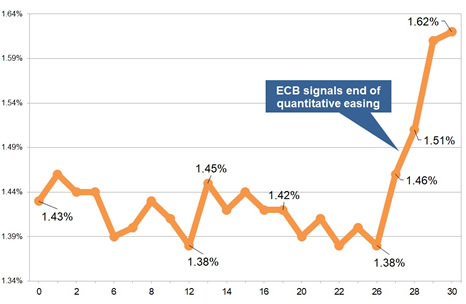 The 15-year gilt yields increased by 19 basis points to 1.62% during the month with 24 basis points added in the last four days following the ECB President Mario Draghi statement. He stated the factors suppressing inflation are short term implying the €1.1 trillion quantitative easing (QE) programme would be stopped by the end of the year with investors selling gilts and bonds sending the price down and yields higher. Yields are 19 basis points higher with standard providers increasing rates by an average of 2.25% and we would expect rates may decrease by -0.35% in the short term. 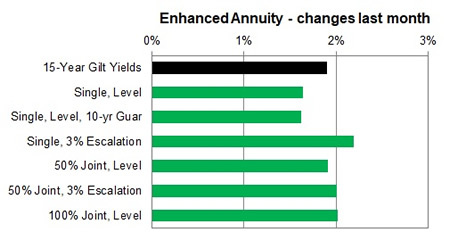 For smoker and enhanced annuity providers increased their rates by an average of 1.85% on average and rates may decrease by -0.06% in the short term. 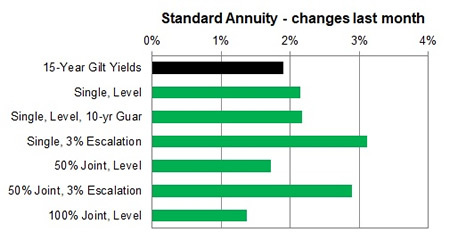 For the month of June 91% of annuity rates increased by up to 3.6% with 2% remaining unchanged and only 7% decreasing. 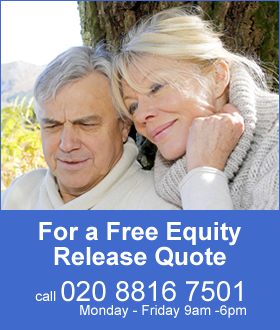 Standard annuities increased by an average of 2.25% during the month. Virtually all age groups experienced a strong rise except those aged 75 on a level basis with falls of up to 0.8%. For enhanced and smoker providers increased rates across the board with an average rise of 1.84%. Only a few age groups with small improvements such as joint life aged 75 for both level and escalating and those aged 65 to 70 single life on a level basis.